Grave sites and their markers are an important part of our heritage. They provide a wealth of information about ancestors useful to genealogists and historians. As a marker in time, grave monument and headstone inscriptions can give us a window into a past world, allowing us to understand lifestyles, occupations and social history which has shaped the way we live today. Many old headstones are being worn away and broken by the ravages of nature and disrespectful vandalism. Some of these markers will never be repaired or replaced and the people they represent are just lost to time. As land space becomes a problem, old graves are reused with the original headstones removed and placed against a graveyard wall. 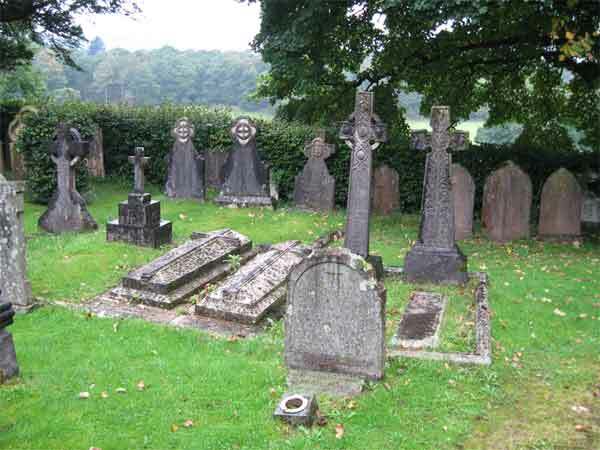 Depending on the country, this timeframe for grave site reuse can be as little as a few years. It is therefore vital that we try to preserve as much of our heritage as we can and there are various projects around the world trying to do just that. The arrival of television programmes such as the BBC’s Who Do You Think You Are?, has encouraged more and more people to trace their family history and the aim of this site is to bring as much of the valuable graveyard research together in one place. We even have a section for animals. Even if you have a small collection of photographs or data, you are more than welcome to send us the information as pictures for a gallery or a link to your own site, anywhere in the world.